When Your Cough Is Not Asthma: What Do I Do? Are you experiencing a dry cough? For many asthmatics, a cough is a sign of poorly controlled asthma. However, if your asthma monitoring suggests that your asthma is well controlled, your cough is just an annoying irritant. In this scenario, the cough is not from hyperresponsiveness, but a direct irritation. Dry coughs are some of the most annoying and painful ailments that people experience. It’s like this incurable dry itch in the back of your throat that you just can’t get rid of. Let’s take a look at 12 home remedies you can use to get rid of your dry cough. Raw honey is one of the oldest home remedies for any type of cough on the market. Marketed as a food, honey often has extra ingredients added, such as high fructose corn syrup or sugar. Extra ingredients don’t help – make sure it’s raw honey gathered from local bees. You may have to find it at a local health store to get it fresh. Tea made the licorice root has the effect of both soothing your throat and loosening your congestion. Simply boil some 8 ounces of water and add to the licorice root – about two dry tablespoons. Don’t drink the saltwater – gargle it. Add 1 teaspoon of salt to 8 ounces of warm water and use it the way you would use mouthwash. It works on the principle of homeostasis and osmosis. The saltwater will draw moisture away from a swollen throat which then causes the swelling to go down. Gargle this three times a day. Thyme has the effect of opening up your airways because it can relax the muscles in your throat. It also has several antimicrobial properties and has a history that dates back almost 900 years to the Black Plague in Europe. Back then, people burned the herb and carried it in their pockets. Boil and ounces of water and add 2 tablespoons of dried thyme to it. Filter it and drink. As we grew up, we always saw cartoon characters sneezing whenever there was black pepper around. We can re-create that same effect to our benefit we have a dry cough. Take 8 ounces of warm water, and add 1 tablespoon of raw honey and 1 teaspoon black pepper. Blend the mixture together and drink up. Harness the soothing powers of ginger and peppermint in this homemade cough syrup. This batch makes enough for a couple of days. Take 4 cups of warm water and add 1 cup of honey. Add 3 tablespoons of chopped ginger and 1 tablespoon of chopped peppermint into the concoction. Drink this 2 to 3 times a day or whenever you feel the itch starting to creep up. Turmeric has antiviral, antibacterial and anti-inflammatory properties. Mix equal amounts of grounded turmeric and carom seeds to 4 cups of water. Boil the mixture. Keep boiling it until half the mixture has boiled away. Add some honey to the mixture for taste and drink up. This one is easy enough. Simply take about a thumb-sized chunk of ginger root and chop it up. Add it to about 4 cups of boiling water and let it cool. Drink the concoction the way it is – add some honey for taste if you like. You can take some slices of the gingerroot and chew on them as you go about your day. Teas that are made from ginger have digestive properties. Not only will it help with the viral infection is probably causing your dry cough, but it will help clean your insides out as well. Garlic, like turmeric, also has antiviral, antibacterial and anti-inflammatory properties. Taking garlic on a regular basis can also provide a boost to your immune system. Boil a glass of water and add a few cloves to it. While it’s boiling, add a pinch of marjoram. You can also make a syrup using clove oil, garlic, and honey that you can take three times a day. Marshmallow root has properties that are anti-inflammatory and pain relieving. It also creates a thin layer that can protect your mucous membrane tissue. Simply create a tea by boiling some water and steeping the marshmallow root in it. Make sure you strain the solution to filter out the root and drink three times a day. Marjoram is a type of oregano that acts as an expectorant and has anti-inflammatory properties that can relieve the pain and itch from a dry cough. Simply boil some water and steep some fresh marjoram leaves in it. Filter the tea and drink three times a day. Hopefully, these treatments can provide you relief in addition to your regular asthma meds when a cough is irritating your asthma. If your cough does not improve make sure you see your doctor to ensure it's not your asthma. Dealleaume L, Tweed B, Neher JO. "Do OTC remedies relieve cough in acute upper respiratory infections?" J Fam Pract. 2009 58(10:559a-c.
Sutovska M, Nosalova G, Franova S, Kardosova A. "The antitussive activity of polysaccharides from Althaea officinalis l., var. Robusta, Arctium lappa L., var. Herkules, and Prunus persica L., Batsch." Bratisl Lek Listy. 2007;108(2):93-9. What Are Some Cough Remedies for Your Children? No Shortness of Breath or Wheezing, but Is That Chronic Cough Asthma? Are essential oils safe to treat asthma? 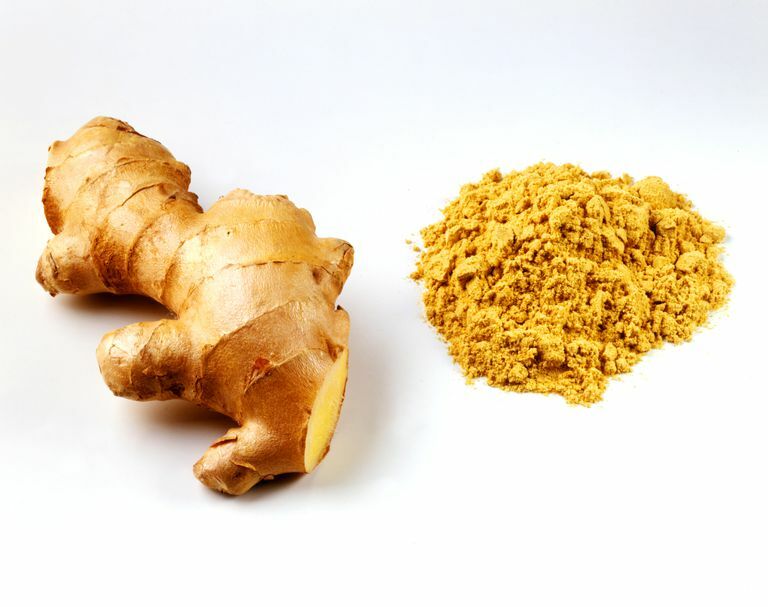 Can Ginger Improve Your Asthma?